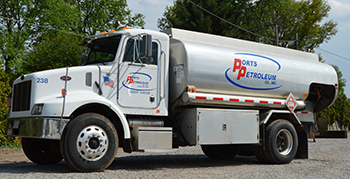 Ports Petroleum created the transportation division to better serve our customers. We have several fuel transport trucks strategically positioned throughout Ohio, in Western Pennsylvania and West Virginia. We also have designated Diesel Exhaust Fluid transport trucks located throughout Ohio. Ports is always accepting applications for qualified drivers. Check out our list of current openings or apply online now. We have single axle tankwagon trucks to service our local farmers and supply home heat throughout Wayne and surrounding counties. Our logistics team coordinates customer loads with our company owned fleet as well as common carriers. The team also maintains inventory for numerous customers and government entities to assure that customers will not run out of fuel. We have dispatchers available 24/7 who can place orders or answer any questions.